To celebrate the beginning of ARTRIO and the opening of the final leg of his touring exhibition, Cai Guo-Qiang: Da Vincis do Povo is currently being featured on Artsy. 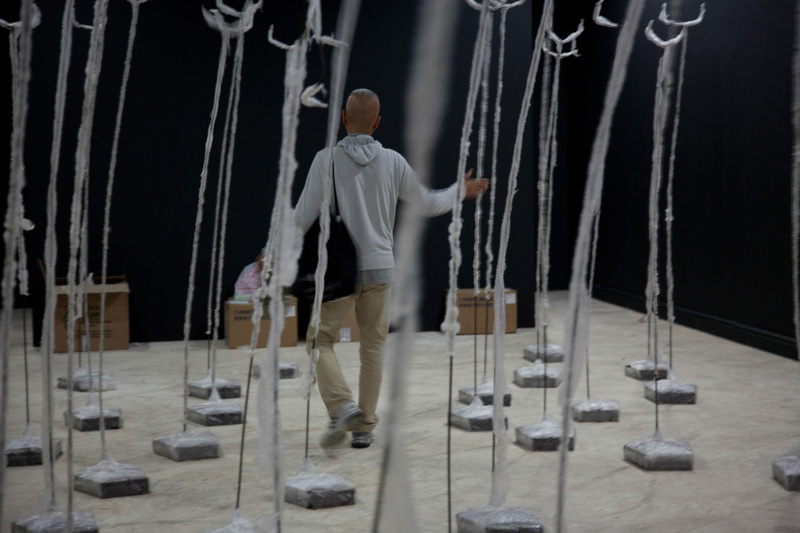 For the occasion, Cai was also interviewed by Christine Kuan of Artsy to discuss the challenges and pleasures of working in Brazil and the ways in which his latest exhibition incorporates the local community and culture of Rio de Janeiro. Last Stop: Rio de Janeiro! Da Vincis do Povo is on the final leg of its three-city tour around Brazil. The exhibition will open in Rio de Janeiro at both the Centro Cultural Banco de Brasil and the Centro Cultural Correiros on August 6 and runs until September 23. With the installation schedule coinciding with World Youth Day and the Pope’s arrival, both Cai and studio staff have been negotiating the crowds to get to and from the exhibition space. 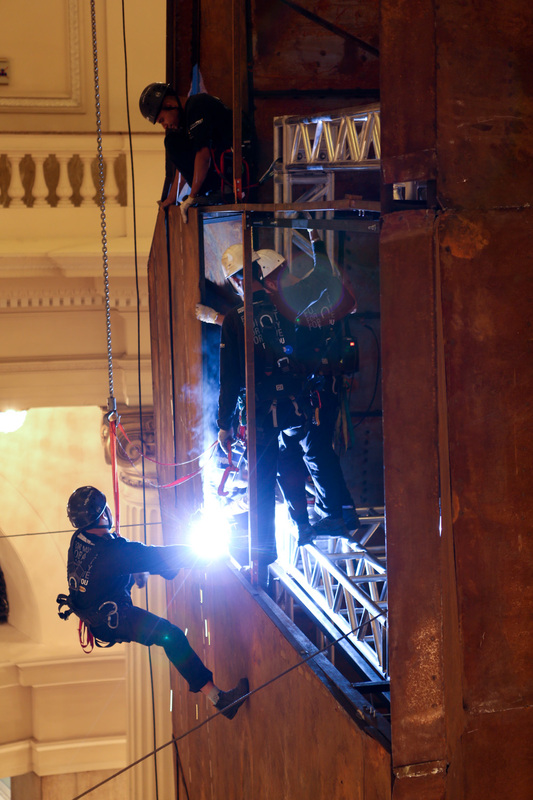 Fabricators hard at work, welding together Complex. Photo by Shu-Wen Lin, courtesy Cai Studio. 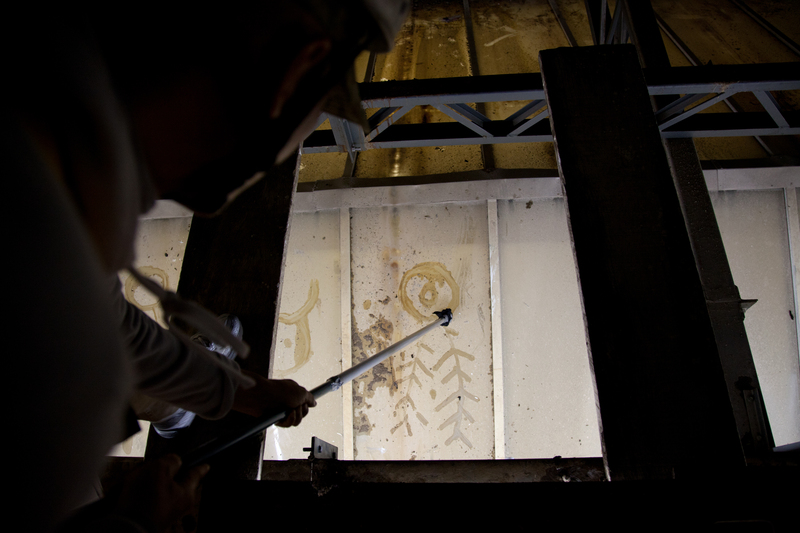 Cai drawing on the skylight of the Centro Cultural Banco de Brasil for his latest site-specific drawing, Starry Night Doodle. Photo by Wen-You Cai, courtesy Cai Studio. Cai walking through and inspecting Kites. 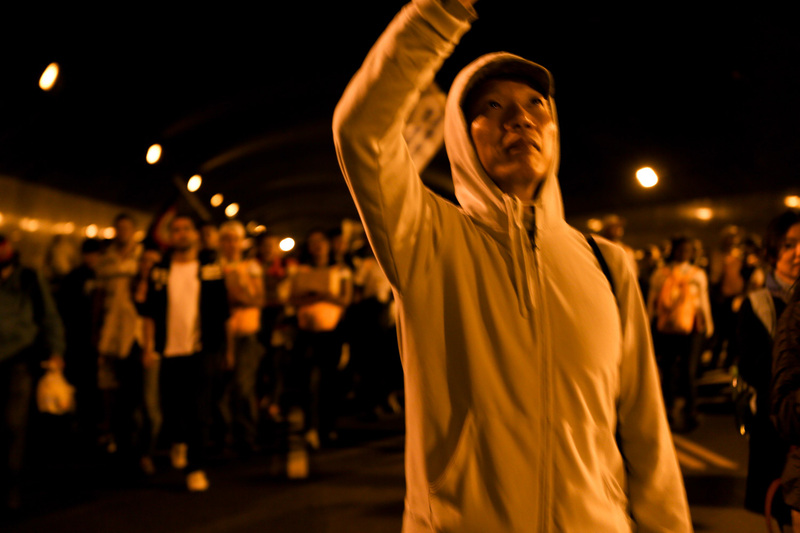 Cai stops to take a photograph of the pilgrimage from the tunnels of Rio de Janeiro. To power through preparations for the exhibition, we’ve been running on sugar. In Rio de Janeiro, the team has been indulging in local cakes. Meanwhile at Cai Studio in New York, we’re eating homemade blackberry pie.